TechRadar has just got back from a meeting with Jérôme Vashist-Rota, founder and VP creative, brand and community of DivX, where we were given an overview of the company's new hi-def iterations of its codec – DivX 7. The new technology means that you can use DivX to encode your HD files, which can be played on future DivX HD + certified players. Currently, when it comes to DivX on consoles, it is just Sony who has signed up for the official codec compliance for the PlayStation 3. 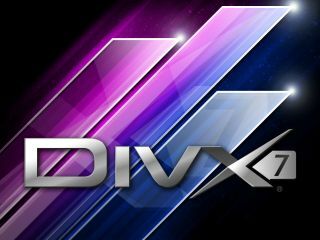 "When it comes to DivX branding, we have had a hard time with Microsoft. Obviously we would love for some sort of partnership to happen. "Currently, Microsoft does support DivX, which is fantastic, but the company has brought in some third-party support for the Xbox 360, and we are not very happy with that." Rota has had something of a chequered past with Microsoft. A major part of DivX's inception began in 1998, when Rota (then known under the alias Gej) extracted code from Version 3 of Microsoft's MPEG-4 codec and reverse-engineered it to be compatible with his video portfolio. With DivX now a major legitimate player in the codec market – over 100 million devices are DivX-certified – a link-up between Microsoft and DivX could be lucrative for both companies. "It's all about branding," says Rota. "And branding can work both ways, so it is not just us losing out with the Xbox 360's lack of official certification."